In Vitro Micropropagation from Nodal Explants of the Medicinal Plant Lysimachia nummularia L.
Lysimachia nummularia L. Avrupa ve Asya'da çeşitli hastalıkların tedavisinde geleneksel olarak kullanılan önemli bir bitkidir. İçerdiği değerli biyoaktif bileşiklerden dolayı farmasötik alanda oldukça önemli bir yere sahiptir. Bu çalışmada, L. nummularia'nın doku kültürü teknikleri ile üretimi araştırılmıştır. L. nummularia'nın boğum eksplantları farklı konsantrasyonlarda 6-Benzilaminopurin (BAP)'i tek olarak veya İndol-3-Bütirik Asit (IBA) ile kombinasyonunu içeren Murashige ve Skoog (MS) besin ortamında kültüre alınmıştır. Genel olarak her iki hormon denemelerinde yüksek sürgün rejenerasyon yüzdeleri elde edilmiştir. Maksimum eksplant başına sürgün sayısı (12.27 adet) 1.6 mg L-1 BAP içeren MS besin ortamında, ardından 0.8 mg L-1 BAP + 0.1 mg L-1 IBA içeren MS besin ortamında (11 adet) elde edilmiştir. En düşük sürgün sayısı her iki hormon uygulamasında da 0.05 mg L-1 BAP içeren MS besi ortamında tespit edilmiştir. Kültür ortamında BAP konsantrasyonunun artması ile sürgün sayısı artış göstermiştir. En uzun sürgünler 0.1 mg L-1 BAP eklenmiş MS ortamında (4.6 cm) ve 0.1 mg L-1 BAP + 0.1 mg L-1 IBA eklenmiş MS ortamında (4.52 cm) kaydedilmiştir. En kısa sürgün uzunlukları 1.6 mg L-1 BAP eklenmiş MS ortamında tespit edilmiştir. Kültür ortamlarındaki rejenere sürgünler yoğun kök oluşturdukları için ayrıca köklendirme çalışması yapılmamıştır. Köklü bitkiler başarılı şekilde akvaryum ortamına alıştırılmıştır. Sonuç olarak L. nummularia'nın doku kültürü teknikleri ile üretimi için en iyi hormon 1.6 mg L-1 BAP olarak tespit edilmiştir. Bu çalışma, L. nummularia'nın doku kültürü ile çoklu üretimine imkan sağlayarak, bu bitkiden değerli bitkisel metabolitlerin yüksek miktarlarda elde edilmesine yardımcı olabilir. Böylece gıda ve farmasötik sektörlere katkı sunulabilir. Lysimachia nummularia L. is an important plant that has traditionally been used in the treatment of various diseases in Europe and Asia. Due to the valuable bioactive compounds content, this plant has a very important place in the pharmaceutical field. In this study, the propagation of L. nummularia by tissue culture techniques was investigated. The nodal explants of L. nummularia were cultured in Murashige and Skoog (MS) nutrient media containing 6-benzylaminopurine (BAP) alone or in combination with indole-3-butyric acid (IBA) at different concentrations. Generally, high rates of shoot regeneration were obtained in both hormone trials. The maximum number of shoots per explant (12.27) was obtained in the MS nutrient medium containing 1.6 mg L-1 BAP, followed by MS medium containing 0.8 mg L-1 BAP + 0.1 mg L-1 IBA (11). The lowest number of shoots was determined in MS medium containing 0.05 mg L-1 BAP in both hormone applications. The number of shoots increased with increasing BAP concentration in the culture medium. The longest shoots were recorded in MS medium supplemented with 0.1 mg L-1 BAP (4.6 cm) and 0.1 mg L-1 BAP + 0.1 mg L-1 IBA (4.52 cm). The shortest shoot lengths were determined in MS medium supplemented with 1.6 mg L-1 BAP. Since the regenerated shoots in the culture medium sustaine intensive roots, rooting experiments have not been carried out. The rooted plants were successfully acclimatized to the aquarium environment. As a result, the best hormone for the propagation of L. nummularia by tissue culture techniques was 1.6 mg L-1 BAP. This work may help to obtain high amounts of this valuable herbal metabolite by allowing multiple production of L. nummularia with tissue culture. Thus, it can be contributed to the food and pharmaceutical sectors. Baskaran P, Kumari A, Van Staden J 2018. In Vitro Propagation Via Organogenesis and Synthetic Seeds of Urginea altissima (L.f.) Baker: A Threatened Medicinal Plant. 3 Biotech, 8: 18. Başaran MS, Adıgüzel N 2001. Bolu, Bartın ve Zonguldak İlleri Fındık Bahçelerinin Florasının Tespiti. Bitki Koruma Bülteni, 41(1-2): 39-66. Challam M, Roy B, Tandon V 2010. Effect of Lysimachia ramosa (Primulaceae) on Helminth Parasites: Motility, Mortality and Scanning Electron Microscopic Observations on Surface Topography. Veterinary Parasitology, 169(1-2), 214–218. Dias MI, Sousa MJ, Alves RC, Ferreira ICFR 2016. Exploring Plant Tissue Culture to Improve the Production of Phenolic Compounds: A Review. Industrial Crops and Products, 82: 9-22. Dogan M 2017. Multiple Shoot Regeneration from Shoot Tip and Nodal Explants of Rotala rotundifolia (Buch-Ham. ex Roxb) Koehne. 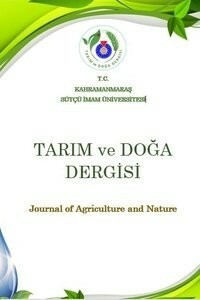 Anatolian Journal of Botany, 1(1):4-8. Dogan M, Karatas M, Aasim M 2015. An Efficient In Vitro Plantlet Regeneration of Ceratophyllum demersum L., An Important Medicinal Aquatic Plant. Fresenius Environmental Bulletin, 24(10b): 3499-3504. Dogan M, Karatas M, Aasim M, 2016. In Vitro Shoot Regeneration From Shoot Tip and Nodal Segment Explants of Pogostemon erectus (Dalzell) Kuntze, A Multipurpose Ornamental Aquatic Plant. Fresenius Environmental Bulletin, 25(11): 4777-4782. Ebrahimi M, Mokhtari A, Amirian R 2018. A Highly Efficient Method for Somatic Embryogenesis of Kelussia odorotissima Mozaff., An Endangered Medicinal Plant. Plant Cell, Tissue and Organ Culture, 132: 99-110. Hanganu D., Olah NK, Mocan A,Vlase L, Benedec D, Raita O, Toma CC 2016. Comparative Polyphenolic Content and Antioxidant Activities of Two Romanian Lysimachia Species. Revista de Chimie, 67(2): 227-231. Hussain A, Qarshi IA, Nazir H, Ullah I 2012. Plant Tissue Culture: Current Status and Opportunities. (Recent Advances in Plant In Vitro Culture, InTech, Croatia, Ed: Leva A, Rinaldi LMR) 1 p.
Jafari N, Othman RY, Khalid N, 2011. Effect of Benzylaminopurine (BAP) Pulsing on In Vitro Shoot Multiplication of Musa acuminata (banana) cv. Berangan. African Journal of Biotechnology, 10(13): 2446-2450. Karataş M, Aasim M 2015. In Vitro Plantlet Regeneratıon from Nodal Segments of Creepıng Jenny (Lysimachia nummularia L.) - a Medicinal Aquatic Plant. Fresenius Environmental Bulletin, 24(4): 1263-1268. Karatas M, Dogan M, Emsen B, Aasim M 2015. Determination of In Vitro Free Radical Scavenging Activities of Various Extracts From In Vitro Propagated Ceratophyllum demersum L.. Fresenius Environmental Bulletin, 24(9a): 2946-2952. Kodela PG, Jobson RW 2016. Lysimachia nummularia (Primulaceae) Naturalised in New South Wales, Australia. Journal of Plant Systematics, 19: 153-157. Kumar V, Moyo M, Staden JV 2017. Somatic Embryogenesis in Hypoxis hemerocallidea: An Important African Medicinal Plant. South African Journal of Botany, 108: 331-336. Li HY, Hao Z, Wang X, Huang L, Li JP 2009. Antioxidant Activities of Extracts and Fractions from Lysimachia Foenum-Graecum Hance. Bioresource Technology, 100(2): 970-974. Murashige T, Skoog F 1962. A Revised Medium for Rapid Growth and Bioassays with Tobacco Tissue Cultures. Physiological Plantarum, 15: 473-497. Naik DSR, Prasad B, Nemali G, Naik AS 2015. In Vitro Shoot Proliferation From Shoot Tip Explants of Winged Bean (Psophocarpus tetragonolobus). International Journal of Recent Scientific Research, 6(5): 3985-3987. Neumann KH, Kumar A, Imani J 2009. Plant Cell and Tissue Culture - A Tool in Biotechnology, Principles and Practice, Springer-Verlag Berlin Heidelberg, Germany, 1 p.
Pawar SV, Khandagale VG, Jambhale VM, Jadhav AS, Pawar BD 2015. In Vitro Regeneration Studies in Stevia Through Nodal Segment and Shoot Tip. The BioScan, 10(3): 1007-1010. Podolak I, Koczurkiewicz P, Galanty A, Michalik M 2013a. Cytotoxic Triterpene Saponins from the Underground Parts of Six Lysimachia L. Species. Biochemical Systematics and Ecology, 47: 116-120. Podolak I, Koczurkiewicz P, Michalik M, Galanty A, Zajdel P, Janeczko Z 2013b. A new Cytotoxic Triterpene Saponin from Lysimachia nummularia L.. Carbohydrate Research, 375:16-20. Sharma SK, Patil A, Agnihotri AK, Mehrotra S 2018. In Vitro Conservation of Alectra chitrakutensis: a Critically Endangered Root Parasitic Plant of High Medicinal Importance. Acta Physiologiae Plantarum, 40: 29. Silué N, Koné T, Soumahoro AB, Koné M 2016. In Vitro Shoot Tip Multiplication of Bambara Groundnut [Vigna subterranea (L.) Verdc.]. Plant Cell Tissue and Organ Culture, 127(3): 603-611. Soni V, Bhushan M 2017. Hormonal Control of Morphogenesis In Vitro in Nodal Segments of Tylophora indica. International Journal of Life-Sciences Scientific Research, 3(4): 1250-1252. Toth A, Toth G, Kery A 2014. Polyphenol Composition and Antioxidant Capacity of Three Lysimachia species. Natural Product Communications, 9: 1473-1478. Toth ER, Vegh K, Alberti A, Beni S, Kery A 2017. Contribution of Individual Flavonoids in Lysimachia species to the Antioxidant Capacity based on HPLC-DPPH Assay. Natural Product Research, 2017:1-4. Trivedi DR, Joshi AG 2014. In Vitro Shoot Regeneration of Stereospermum suaveolens DC. Using Cotyledonary Node and Nodal Explants. Plant Tissue Culture and Biotechnology, 24(2): 235‐246. Turker AU, Guner B 2013. Efficient Plant Regeneration of Yellow Loosestrife (Lysimachia vulgaris L.), a Medicinal Plant. Acta Biologica Hungarica, 64(2):218-30. Yang X, Wang BC, Zhang X, Liu WQ, Qian JZ, Li W, Deng J, Singh GK, Su HJ 2011. Evaluation of Lysimachia christinae Hance Extracts as Anticholecystitis and Cholagogic Agents in Animals, 137: 57- 63. Yasukawa K, Ogawa H, Takido M 1990. Two Flavonol Glycosides from Lysimachia nummularia. Phytochemistry, 29(5): 1707-1708. Yılmaz C, Kormaz H 2017. Terme’nin Biyoçeşitlilik ve Doğal Ortam Özellikleri. Serander Yayınları, Trabzon, Türkiye. Zheng W, Xu XD, Dai H, Chen, LQ 2009. Direct Regeneration of Plants Derived from In Vitro Cultured Shoot Tips and Leaves of Three Lysimachia species. Scientia Horticulturae 122: 138-141. Zimik M, Arumugam N 2017. Induction of Shoot Regeneration in Cotyledon Explants of the Oilseed Crop Sesamum indicum L.. Journal of Genetic Engineering and Biotechnology, 15(2): 303-308.